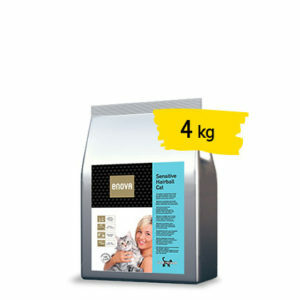 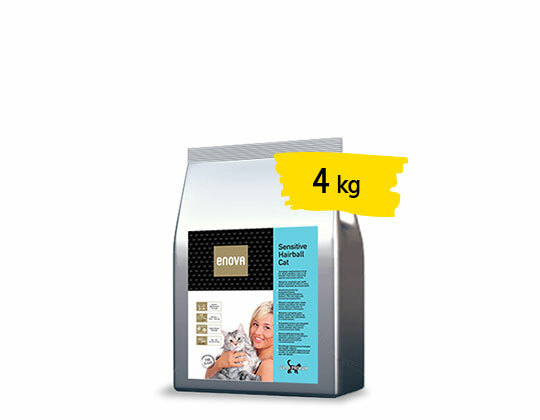 Complete dry food for adult cats, indicated in case of food sensitivity. 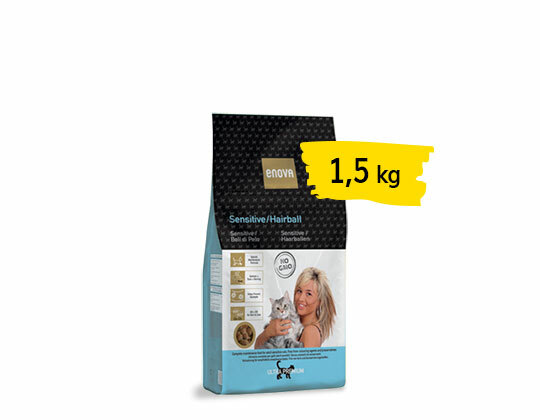 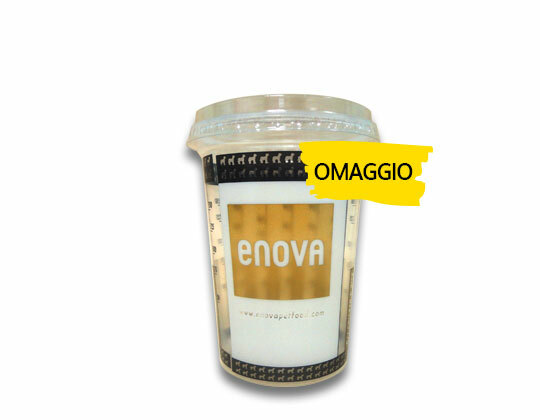 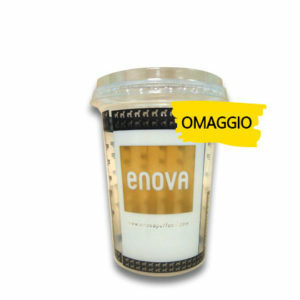 ENOVA SENSITIVE/HAIRBALL CAT is a revolutionary cat food, designed purposely to meet the needs of those adult cats who experienced allergy to meat ingredients or simply love the taste of the fish. 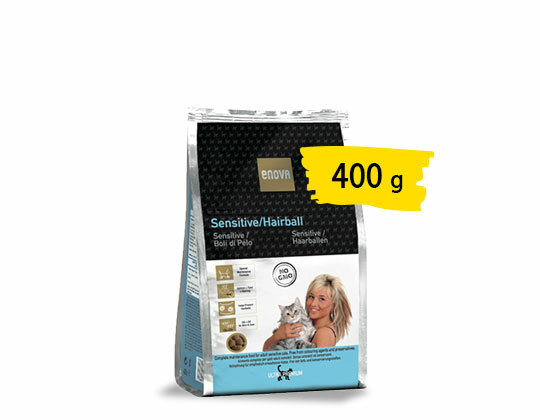 This formula has fish (a mix of salmon, tuna and herring) as first ingredient, that ensures high palatability and acceptance; furthermore, the combined action of Omega 6 & Omega 3 fatty acids (from poultry fat, flaxseed and fish oil) and vegetable fibres’ mix with Hairball function promotes a reduction in shedding and an improved condition of skin & coat on one side and an easier expulsion of the existing hairball in the digestive tract on the other.